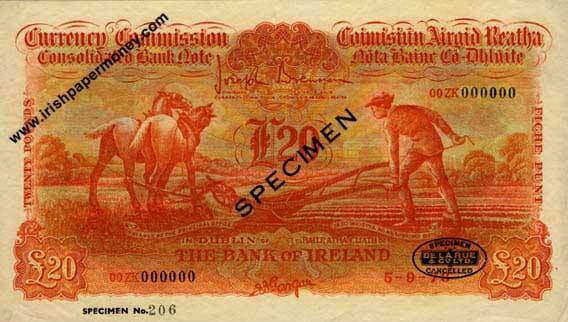 Consolidated (Ploughman) Specimen Note Valuations. 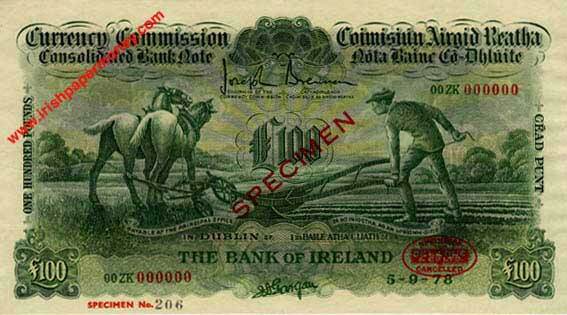 Valuations for Ploughman Specimens tend to vary as they turn up in auction from time to time. The following values are an approximate guide only. 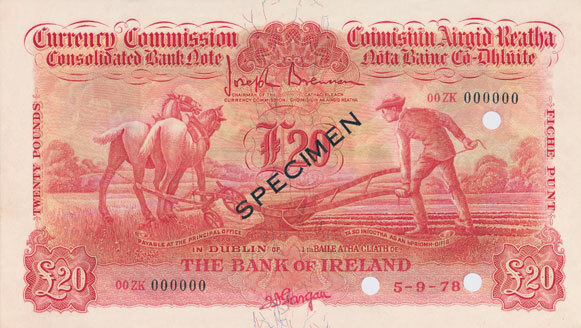 The Consolidated Banknotes Ploughman Section of irishpapermoney.com has pictures of all known types of Ploughman specimens, which fall into three main categories: De La Rue specimens, Currency Commission official specimens, and unmarked colour trials. 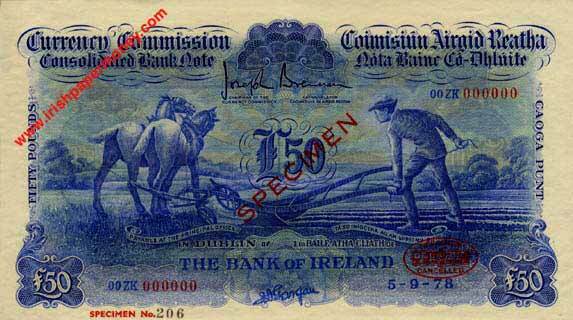 Illustrations are of the De La Rue Specimens, which are by far the most commonly offered variety.